What is a quality Vaporizer or the best Vape Pen? An Ego e-pen was one of the most popular models in the UK E-Cig Market. They were much larger devices than the standard “ciglike” e cigarette & generally had good battery life, they also had a good reputation as originally they were more reliable, and just better than most standard e-cigs. The Ego e-cigs have now developed into what are now termed vape pens or vaporizers. 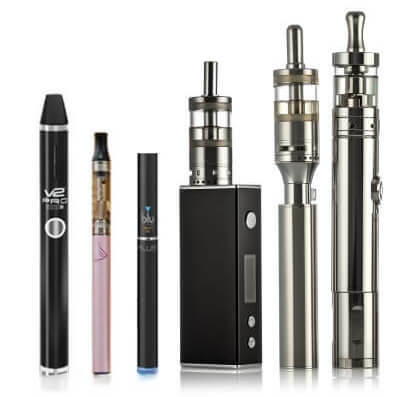 However e-cigarette technology has also moved on and now there are a number of proper quality small scale e cigs and shisha pens available that work properly. The Ego type e-cig popularity has reduced with the advent of new technology and the introduction of more modern vaporizers and vape pens. There is a massive selection of “Vape pens” available which can also be used as a Shisha Pen by using zero nicotine flavoured e liquid. Some have a variable voltage controlled with a twist mechanism, some with buttons to select the voltage etc. This can actually be a bad thing as the tank is generally interchangeable with a wide range of atomizers or clearomizers – which sounds good. But people think if they whack the voltage up to maximum you will get more vapour. This is true to a point but if you crank it up higher than you should for the specific tank/coil you have, it could produce a burnt taste and/or ruin your tank. It can also be dangerous. If you are new to e-cigs you will probably find the different types confusing. This is the Standard vaporizer, it is generally a 650 or a 2000 mAh battery. This is a fairly normal battery capacity. Generally these come with a standard screw on e liquid tank which is refillable. The coil in the tank will generally last around 2 weeks before it needs replacing as the vapour taste becomes dulled or burnt. These are “tank” based – they have larger liquid chambers, and you can refill it very easily. You just unscrew and pour your liquid into the chamber. The coils in the atomizers on these are not easily replaceable. This is an advancement of the TE model, the coils in the tanks are replaceable and/or rebuildable which can save you a little money, but it’s more messing about with wicks and coil building, and can be messy. This generally refers to a battery, it twists at the bottom to adjust the voltage. In the UK these are the most popular types. Sometimes a higher voltage is required to get the right flavour or more vapour. Sometimes however this will deliver a burnt taste. Box mods are a variation of design of the Ego Vape Pens and have become popular with some advanced vapers because of their increased battery size and user input. They are “box shape” hence the name. These are not suitable for those wishing to transition away from smoking to e cigarettes simply because it does not “feel” like smoking because of the sheer size of the device. 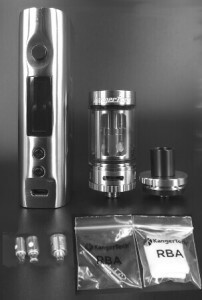 However devices like the Kanger TOPBOX Mini offer a myriad of choices from variable voltage, temperature control, sub ohm vaping and build your own coils/atomizers. All very nice if you like DIY. My advice is to steer clear, at some future stage when you have transitioned from smoking to vaping successfully using a simpler and smaller vaporizer device, if you then want to see what they are like then by all means get one. These are like modern day egos, but some vape pens have the option to literally Vaporize anything you put in them, they heat the chamber up to a searingly hot temperature. They are ideal for smokers who want to move onto E-Cigs by vaping loose leaf tobacco, e liquid or other vaping medium like e-Shisha. They are a popular choice for those wishing to enjoy smoking but do not want the harmful effects of actual combustion of the tobacco. The vaporizer pen functions exactly like a regular E-Cig as well. Generally very easy to use though I would personally say the tech is far behind the E-Cig market in general. That being said the 3-1 vape pen by V2 blows all competition out of the water and is really setting the standard for vape pens. I expect to see some competition come out of for it in the coming months but for now this kit really is light years ahead. The Pax 2 is recognised as one of the best weed vaporizer but is a dedicated device, ie it is designed for weed only, not e liquid or wax. Some of the most common things to vaporize are loose leaf tobacco, dried herbs, waxes and essential oils. This is up to you.